“It is called “Love Runs the World”. 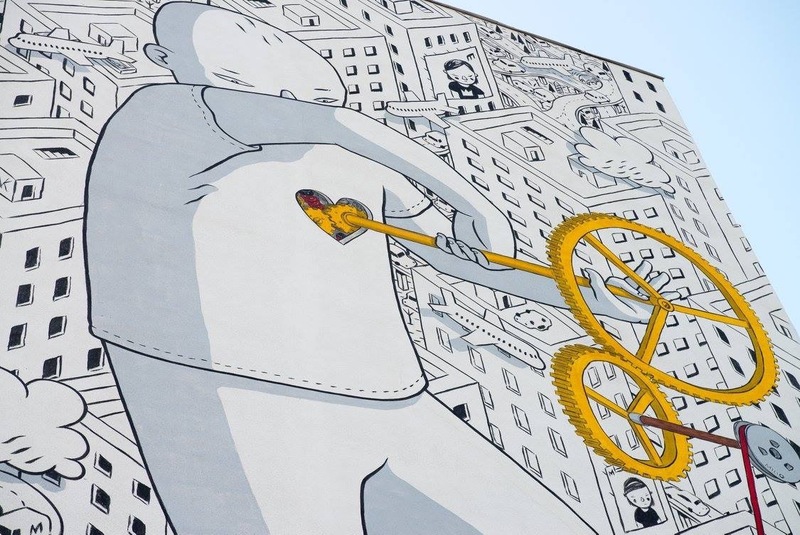 It’s a message of peace in a city zone where there are just blocks and blocks and blocks for kilometers. Someone may say that it’s just a small flower in the concrete, but many flowers do a small garden”, says Millo. 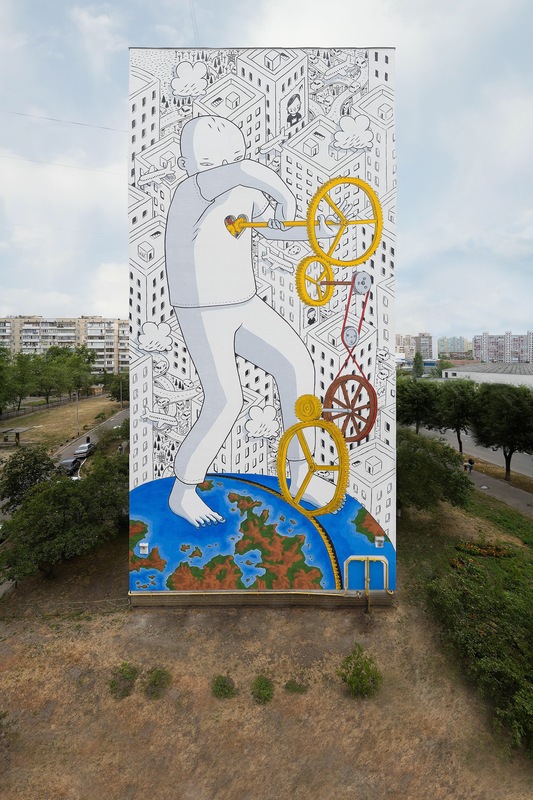 Millo paints large-scale murals that feature friendly inhabitants exploring their urban setting. He uses simple black and white lines with dashes of color when necessary, and often incorporates elements of architecture into his multi-story paintings. 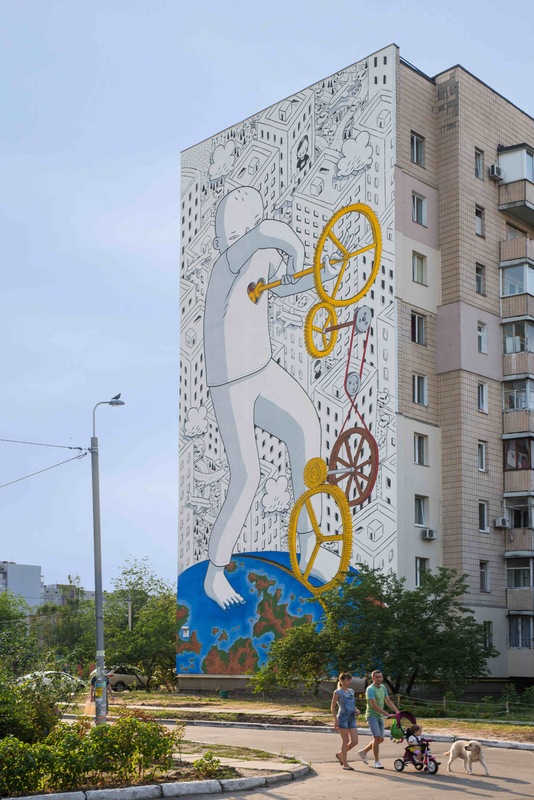 The Mural Social Club Festival is organized by NGO Sky Art Foundation and Dmytro Palienko, curated by Oleg Sosnov and Julia Ostrovska. All photos are from Maksim Belousov.